Freelancers and small businesses: when it comes to management software, you get the short end of the stick. You either have to spend all of your money on software that's way out of your league (we get it), or you have to painfully juggle a ton of individual tools. Meet the answer to all of your business management problems: Plutio. Plutio allows you to manage your entire business from one intuitive, centralized, and deeply customizable platform. With Plutio, you can keep each and every aspect of your business organized. 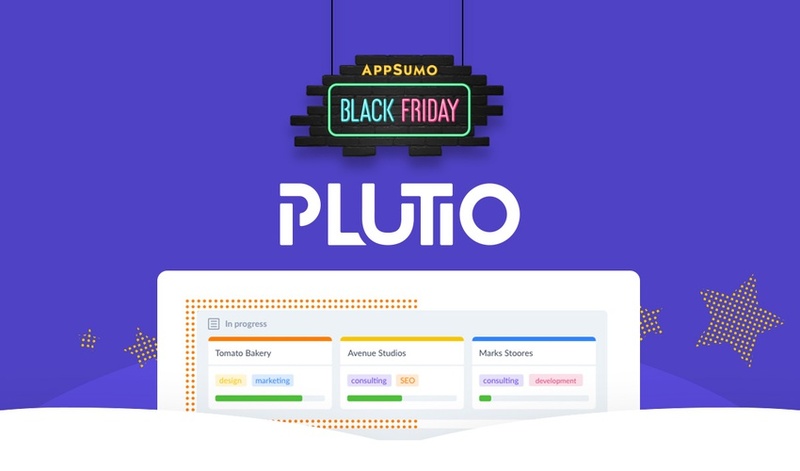 Plutio knows that freelancers and small teams have a metric ton of things going on so they built their product to keep the UX as simple and friendly as possible. Inside of Plutio's clean dashboard, you can easily create, edit, and see all your projects and tasks. You’ll be able to customize workflows, set start and due dates, and communicate with everyone involved so you always know who’s doing what and where they stand. Plutio also makes sure that you get money, get paid, with proposals, time tracking, and invoices all built within the platform. Proposals can be created in minutes with a simple-to-use drag and drop editor. Just have clients sign them electronically and it's go time for your project. When you begin working on a task, fire up the time tracker. If you forget, you can always manually input time later. Each project will have its own timesheet that is editable, downloadable, and printable. And sending invoices is a breeze. You’ll control everything in the invoice from due dates to footer notes, to applying discounts and tax rates. Payments can be sent to your Stripe, PayPal, or bank account. But during our Black Friday bonanza, you can get lifetime access for just $49! Yes, we can't believe what we're saying either: you can manage your entire business for just $49! And when you stack your second code, you can get the white label feature for 30% off! P.S. Don't forget to grab our other amazing Black Friday deals before 11/23 at 11:59PM (EST)! Filmora: Create and edit amazing videos quickly, regardless of skill level. Access to 5 licenses is typically $630, but you can get lifetime access to all 5 licenses for just $49! lemlist: Automate outreach campaigns and drive conversions and responses with personalized images. Access to the Gold Plan is usually $1,224 but you can get lifetime access for just $49!